An elegant wine bar, cellar and restaurant hidden up above a Camberwell shopping centre. Camberwell has scored a welcome new addition in St Giles, a charming, multifaceted venue from the minds behind Elwood neighbourhood favourite, Blue Tongue. A wine bar, kitchen, deli and cellar door rolled into one, this one's got the goods for most occasions, and it's destined to become yet another locally loved gem. St Giles boasts warm, dapper interiors by Two Design, working a mix of dark timber, soft leather and elegant marble. A leafy alfresco terrace promises the perfect spot to see out the last legs of Melbourne's warm weather. The menu itself blends influence from across Europe and closer to home, showcasing a considered crop of top local produce. Expect share plates like Port Phillip mussels done in white wine garlic and parsley ($16), a miso sea bream sashimi ($21), and a beer-brined half chicken from the grill, with brown butter and sage ($38). They sit alongside grazing platters, which you can make yourself from an impressive haul of charcuterie, seafood and cheese. Though it might just be the steak frites offering that steals this show — the mean features a handful of premium Victorian meat cuts, running from a 250-gram eye fillet ($46), to a hefty kilogram T-bone ($90). The matching wine list is a tightly curated mix of European drops and homegrown heroes, with plenty of options by the glass and a strong take-home selection. Happy hour runs from 4–6pm every night with $10 cocktails and pints. 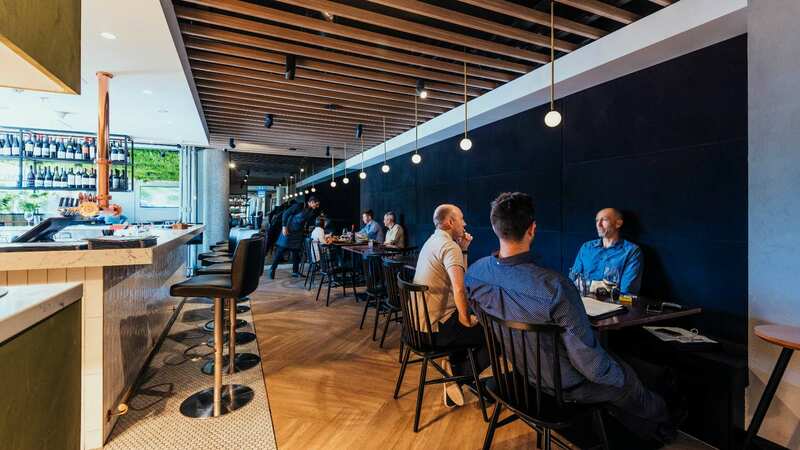 The venue is located within Camberwell Place's newly revamped dining precinct — but it has its own lift, so you don't have to enter the shopping centre to access it.